With a new moon this week, sky gazers got the chance to be amazed by the nighttime show put on by the oldest meteor shower observed by humans. For more than 2,000 years, when fragments of the Swift-Tuttle comet pass through Earth’s atmosphere, meteors appear each August near the constellation Perseus. A long exposure image showing a meteor streaking across the night sky over the ruins of the early Byzantine Christian basilica ‘Red Church’, dating to the late 4th and 5th century near the town of Perushtitsa some 120 km from Sofia, Bulgaria, Aug. 13. 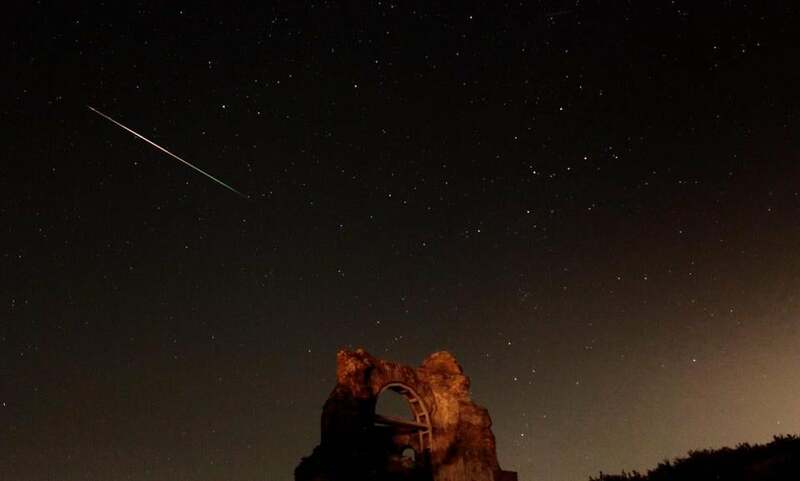 The meteor display, known as the Perseid shower, because it appears to radiate from the constellation Perseus in the northeastern sky, is a result of Earth’s orbit passing through debris from the comet Swift-Tuttle.